No one experiences success after success without knowing failure a few times in between. Even the business icons we revere and emulate have had their fair share of failed ventures and rejections. The exciting thing about entrepreneurship and small business owners is that being perseverant can pay off incredibly well in the end–if you’re tough enough to stick it out time and time again after things don’t work out. These business leaders were, and now they have created a legacy of success and a business reputation that garners respect from people all over the world. Here, we share the failure–and eventual success–stories of entrepreneurs and business owners who wouldn’t take no for an answer and made themselves wealthy because of it. Bill Gates developed a business called Traf-O-Data which would process and analyze data from traffic tapes. He launched it with his partner, Paul Allen, and although Bill was confident in the idea, the product didn’t work as it should and the company flopped. Bill dropped out of Harvard. It seemed like things weren’t going to work out as he’d hoped. But a few years later, Bill started Microsoft, and the rest is history. Arianna Huffington tried to publish a book before she created the Huffington Post empire. The response from 36 different publishers before her book was accepted? No thanks. And when she started The Huffington Post, she faced lots of criticism about the site and its’ lack of potential. So it must have been especially satisfying when the Huffington Post overcame the critics and went on to become one of the most-read news sites online and an incredible platform for bloggers who have stories to share. Colonel Sanders wasn’t always famous for his fried chicken–he submitted his recipe more than 1000 times before it was accepted by a restaurant. KFC was a venture he started at the age of 65. He had faith in his recipe, but he couldn’t have possibly imagined how successful the restaurant would turn out to be. Fred Smith attended Yale University and during his time there, was tasked to present a business idea to his management class. He came up with the concept of a package service that delivered packages overnight for an additional cost. The project received a failing grade. Fred went on to put his idea into FedEx, which is now one of the largest global courier services in the world. Mark Cuban hasn’t always been a smashing success. He failed at a variety of jobs, including carpentry, cooking, and being a restaurant server, before he found success. He and a partner started AudioNet.com in 1995, which they later renamed Broadcast.com, so they could listen to Indiana Hoosiers games online. Walt Disney probably felt like a failure the day he was fired by an editor because “He lacked imagination and had no original ideas.” He went on to start his own animation company, but it went bankrupt. He was turned down over and over, around 100 times, when he was searching for investors for Disney World. 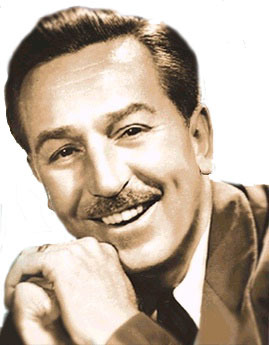 Today, the Walt Disney company averages $30 billion annually. Not bad for a failure! When we look at stories and examples like these, it becomes more clear that failure is not a destination or a place to end your efforts. If you can apply what you learned from the mistake or rejection, you can turn any failure, no matter how crushing, into a stepping stone to success. Which Famous Entrepreneurs Created Success from a Failure?